While it’s definitely a little early to be 100 percent certain of how Samsung plans to set next year’s Galaxy S10 apart from the existing S9 duo and impending Note 9, one rumor has been repeated so many times lately that there must be some truth to it. Besides, we’re talking about a newfangled technology that the company has been trying to implement for quite some time now. It’s also important to note a few of Samsung’s fast-growing rivals have managed to beat the market leader to the punch with optical in-display fingerprint scanners built into devices like the Vivo NEX, Xiaomi Mi 8 Explorer Edition, and Porsche Design Huawei Mate RS. But if the latest Digitimes report, which falls in line with previous speculation from multiple sources, is to be trusted, the Galaxy S10 “lineup” will adopt a faster, more reliable ultrasonic in-display fingerprint recognition solution. Said ultra-advanced biometric sensors are likely to be manufactured by Taiwan’s General Interface Solution (GIS) and China’s O-film Tech rather than Goodix and Synaptics, which are currently supplying optical-based components to Vivo, Xiaomi, and Huawei. 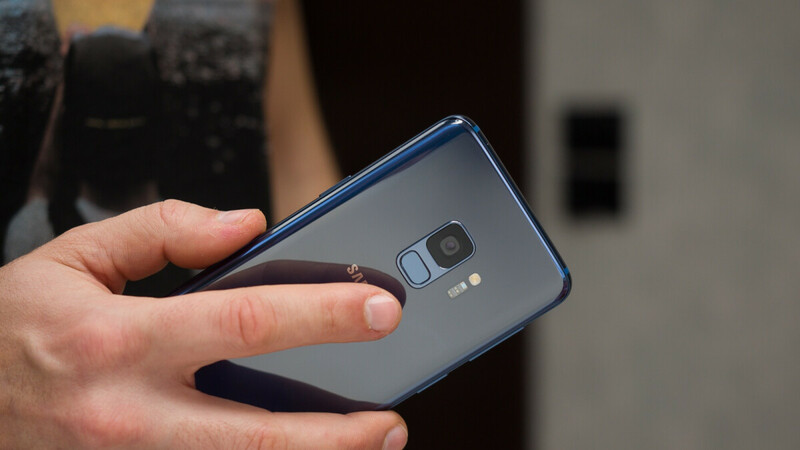 Two of three Galaxy S10 variants are widely expected to hide their fingerprint readers under their 6.1 and 6.4-inch or so AMOLED screens, while an “entry-level” 5.8-inch model should stick to a conventional rear-mounted solution. Oddly enough, the lower-end, lower-cost version could get just a limited release, compared to its bigger, higher-end brothers, tipped to ship in as many as 36 million units combined. Interestingly, anonymous “industry sources” quoted today anticipate ultrasonic in-display fingerprint adoption on “one top-end model each from Samsung’s Galaxy A- and Note-series lineups.” So, no, the Galaxy Note 10 is probably not canceled. The only way I would pay over a $1,000 for a Samsung is if they made a Samsung Galaxy S X with a notch. FM radio,IR blaster,better battery life & am good. Reduce the battery too. We need thinner phones. 2000mha is enough. Once again Samsung gives poorer specs on the normal mainstream smaller sized phone. Disgraceful Samsung. Yeah, just like that OTHER company is going to do in their lower end flagship phone, disgraceful OTHER company for doing that.